From the bestselling creator of Wreck This Journal, a deceptively simple adventure into the unknown using only paper, a pencil, and a single line Wreck This Journal had a simple premise: destroy the book in all the ways you can imagine. The Line is even simpler: find pencil, start a line. 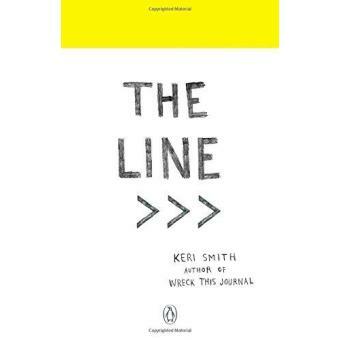 As you move through the pages of Keri Smith's newest book, you'll be asked to let your line meander, to explore the book's gutter, to jump around the edges of the pages. You'll hide your line, cut your line, and even let someone else take over your line for a bit. The farther you get into the book, however, the more you'll discover that maybe things aren't as simple as they first seemed. The line has a mind of its own, and it's up to you to discover what's at the end of it (hint: it's just the beginning).